Heart Leaved Penstemon (Keckiella cordifolia) is a spreading vine-like perennial shrub that sports some colorful flowers that vary from Orange to Scarlet. 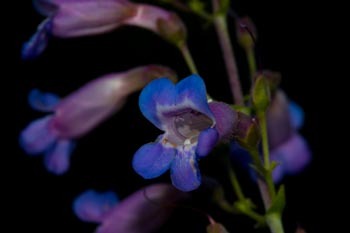 Sprawling over other plants, Heart Leaved Penstemon can reach up to six feet in height and spread out for ten feet in width. 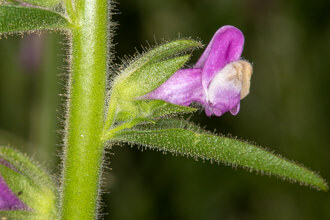 The plant has opposite leaves and flowers with one pistil and five stamens, only four of which are fertile. The sterile stamen (Botanists refer to it as a staminode) has no anther, and its purpose may be to guide pollinator to the available nectar. 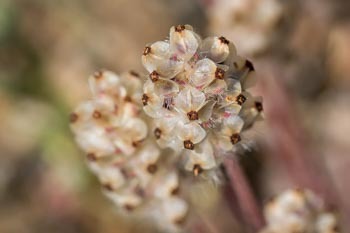 After the flower falls off, this stamen often remains connected to the plant. 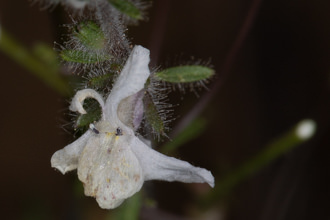 Adapted for pollination by hummingbird rather than insects, the reddish or orange narrow tube-shaped flowers have little odor, abundant nectar and present exserted (sticking out from the flower) anthers and stigmas. 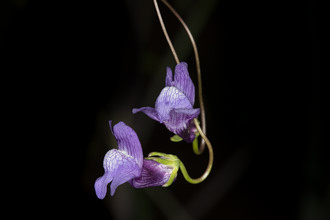 Careful examination of the plant reveals five pointed green unequal sepals covering the base of the flower tube; the weight of the flowers on the end of the woody stalks cause them to bend down. 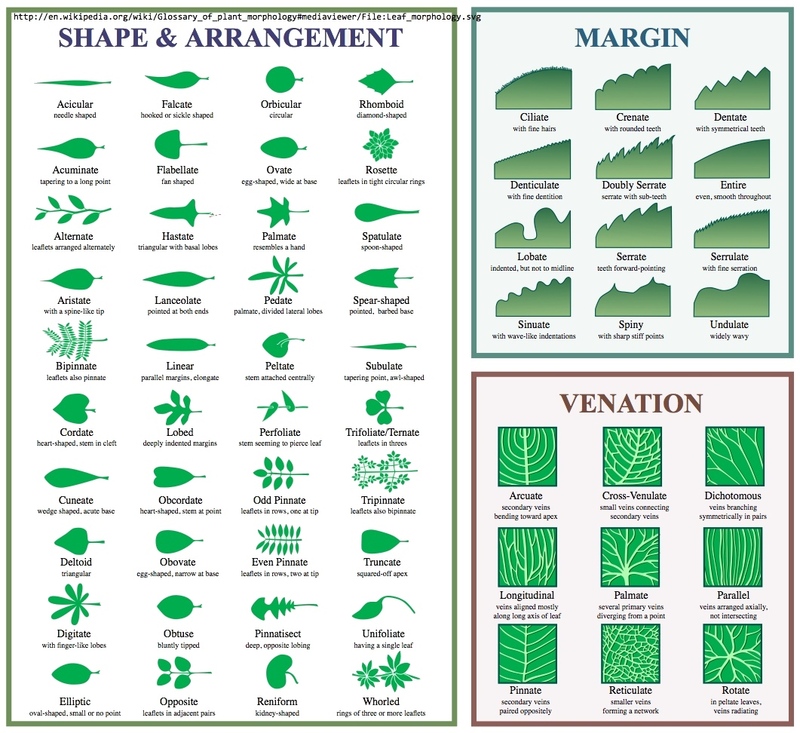 Leaves are smooth to partially serrated, oval and become heart-shaped with age. 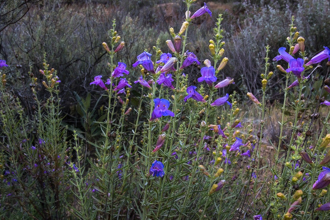 While reading up on this plant, I saw a reference or two suggesting that this plant was not an actual Penstemon but was related to the Penstemon family. 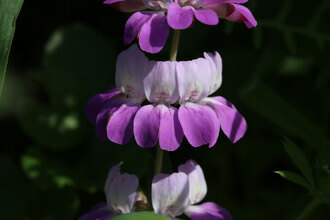 Botanists have recently moved Heart Leaved Penstemon from the Figwort family to the Plantain family. 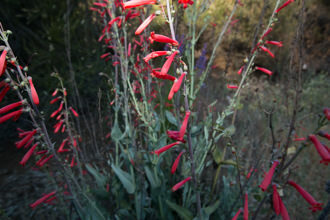 Nice things to know but not essential to appreciating how this California native plant brightens up the trails and provides nourishment for Hummingbirds. Native peoples boiled the leaves for treating Colds and wounds. Jan Timbrook's book was the source of this information. Name Origin: Keckiel'la: after David Daniels Keck (1903-1995), an American botanist known for his work on experimental taxonomy who collaborated with Philip Munz on A California Flora (ref. genus Keckiella) www.calflora.net is the source of this info. cordifo'lia: in Latin means with "heart-shaped leaves"
Last modified: May 09 2017 10:40:34.